Tuesday, June 7th was a significant day in history. It was primary election day in California, where the first Women was crowned as the Democratic nominee for President, It was the late Prince Rogers Nelson’s Birthday, and it was the first ever social media week event engineered by LAUSD students. Dakar Media Academy with the support of volunteer mentors, Terrence Coles, Robert Reeber and Retired General Arnold Bray directed a panel of SOCAL education stakeholders to bring back a modicum of human connectivity to a group of high school juniors @ JFK Magnet, Granada Hills, Ca. 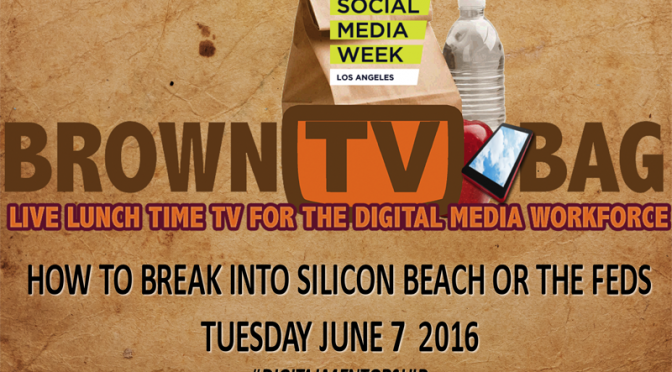 The YouTube Livestreaming Broadcast combined with a Live Google Hangout was executed inside of Social Media Week LA 2016, and directed at 9-12th pre-arranged high school assemblies in Compton, and various LAUSD classrooms. We want to send a big shout-out to Michelle Turner, for hosting our event, and in no particular order, Jay Tucker, Yvonne Harmon, Aaron Lemos, Dean Alex Davis, Rory Pullens, Dan Watanabe, Karen Harper, Doris Driver, and Gregg Johnson. This episode will focus distilling the best practices of Transmedia to connect mentees to mentors for engagement and activation of internships, scholarships and apprenticeships programs on all platforms. Dakar was selected to participate in SMWi, with partner USC Black Alumni association to facilitate our Social Media Week Independ broadcast. This broadcast event will bring together a studio roundtable panel to connect with virtual panelist from around world to present opportunities for students, teachers, and parents to hear and see network of STEM-STEAM related on-ramps for career workforce development. The projected outcome of this episode is to foster a sustained exchange using social media to engage and activate programs and campaigns aimed at underserved public schools and communities. Our pilot was broadcast May 3rd, inside of Digital Hollywood.